The Chrysler Pacifica is a family van with the style of a sleek SUV. This is a whole new generation of the minivan that's technologically advanced with impressive acceleration and fuel economy. The available hybrid version delivers a combined mpg city/highway rating of 84 MPGe (32 mpg on gasoline only), making it the most fuel-efficient minivan on the market. The 2018 Pacifica also features Chrysler's popular Stow 'n Go stowable 2nd-row seats, unique to the minivan class. 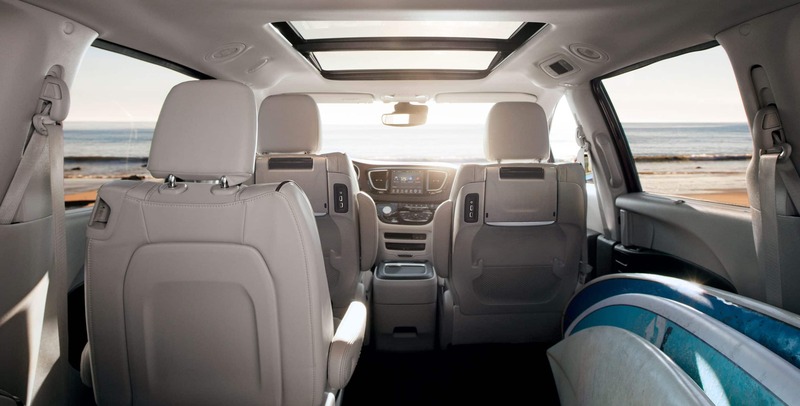 The Pacifica's seats fold flush into the floor, while other minivans require you to manually remove and store the seats. The hybrid model gains a new Touring Plus trim for 2018, while a newly affordable L trim is added to the gasoline version. Apple CarPlay and Android Auto come standard, and there's a variety of new packages and equipment joining the option sheet. Industry first Hybrid engine for minivan option acheives 566-mile total gas and electric range. What engines are available for the Pacifica? 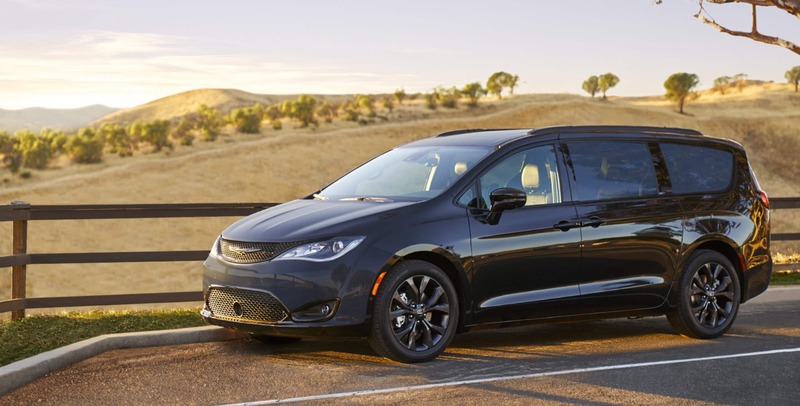 The Chrysler Pacifica has been re-engineered from the ground up on an all-new platform, delivering a class-leading ride and handling. 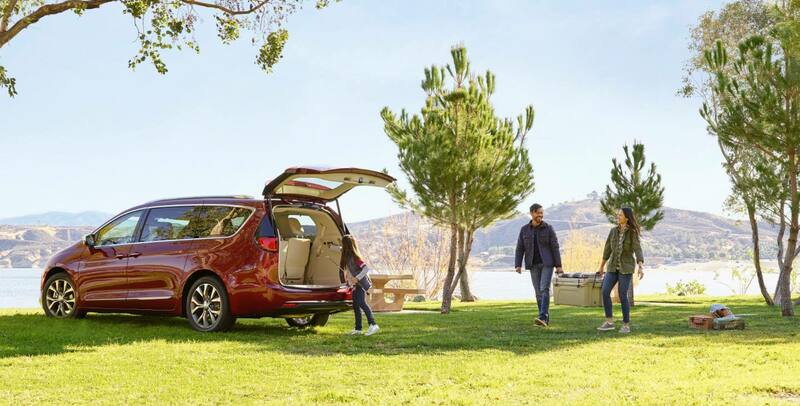 All new Pacifica models come standard with the 3.6-liter V6 engine, 9-speed automatic, an electric parking brake, and keyless entry with push-button. The segment-exclusive TorqueFlite 9-speed automatic transmission delivers 287 horsepower with 262 lb.-ft. of torque and has been redesigned to deliver maximum performance and fuel economy. The Hybrid is the industry's first electrified minivan and offers an advanced plug-in hybrid powertrain that runs up to 33 miles solely on electric power with 84 MPGe zero-emissions from a 16-kWh lithium-ion (Li-ion) battery, plus 566-mile total gas and electric range. What kind of design features does the Pacfica have? For 2018, the Chrysler Pacifica lineup comes in six models: L, LX, Touring Plus, Touring, Touring L Plus, and Limited. The 2018 Chrysler Pacifica Hybrid lineup comes in three models: Touring Plus, Touring L, and Limited. 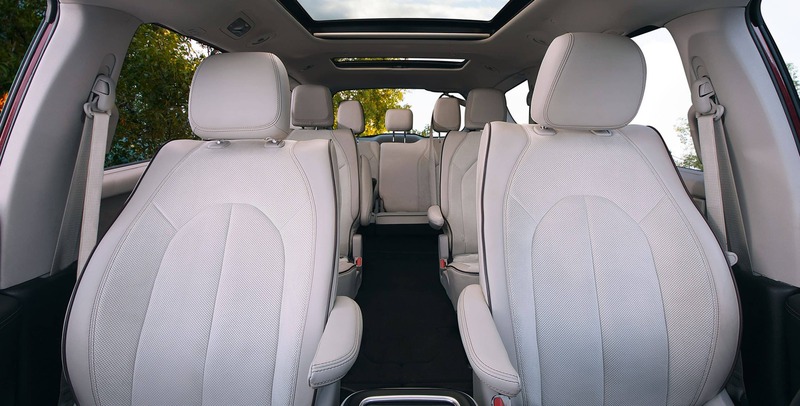 The Chrysler Pacifica features a removable center seat making it possible to seat up to 8 passengers and total cargo volume coming to 140.5 cubic feet. All models come standard with six speakers with Active Noise Cancellation. Available Premium audio systems are the 13-speaker Alpine system, and a 20-speaker Harman Kardon surround sound system. There's also a charge port on the front-left fender and Stow 'n Vac integrated vacuum powered by RIDGID that come standard. It also comes with some new exterior paint colors: Copper Pearl Coat and Ocean Blue Metallic. Perforated leather seats are standard on Touring L, Uconnect 4C NAV with 8.4-inch radio and 4G Wi-Fi are standard on Touring L Plus, and they are also available on Touring Plus and Touring L. Plus, the LX features active grille shutters to aid fuel economy, heated outside mirrors, and 3-zone air conditioning. 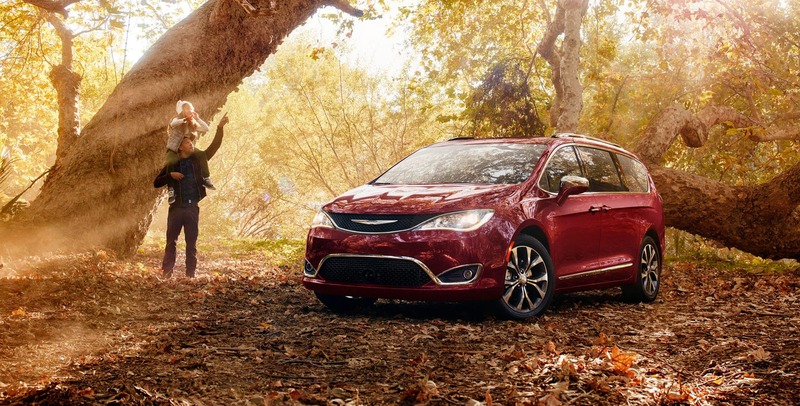 What type of safety features come with the Pacifica? Standard safety equipment includes ParkSense rear-park assist, blind-spot monitoring and rear cross-traffic alert along with more than 100 standard and available safety and security features. Optional packages include an Advanced SafetyTec group with lane-departure warning plus, forward-collision warning plus, adaptive cruise control, and a surround-view camera system. Also available is the Front/Rear Park Assist with Stop that alerts the driver when the Pacifica approaches an object directly in front of or behind the vehicle and applies the brakes if necessary, plus the Surround View Camera that helps the driver park by providing a 360-degree, top-down view of the Pacifica. 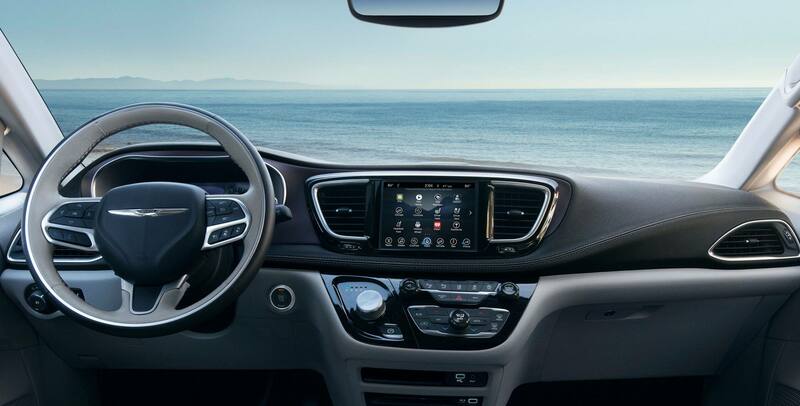 The 2018 Chrysler Pacifica has reinvented the family car genre as a sportier, more luxurious and technologically advanced minivan that anyone would be proud to own. 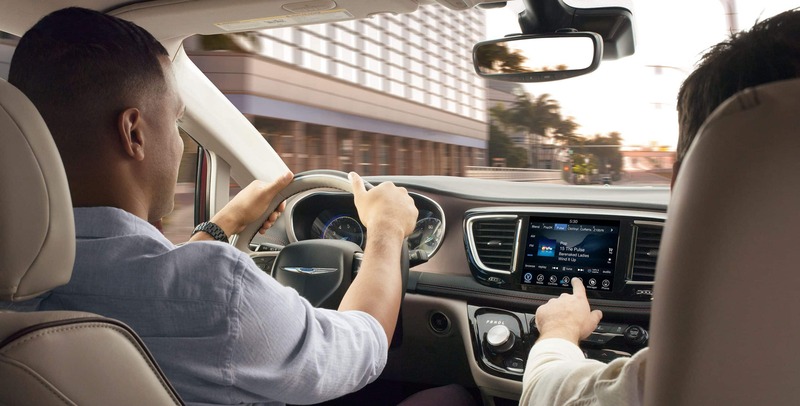 The Chrysler Pacifica reinvents the minivan segment with an unprecedented level of functionality, versatility, and technology plus bold styling from its sleek, low-slung exterior and ultra-luxurious dash and interior design. 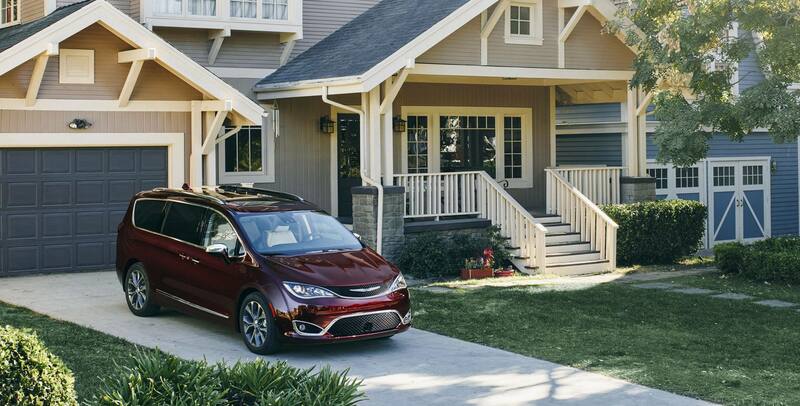 The Pacifica delivers class-leading gasoline and hybrid powertrains to the minivan segment and has been re-engineered from the ground up on an all-new platform. 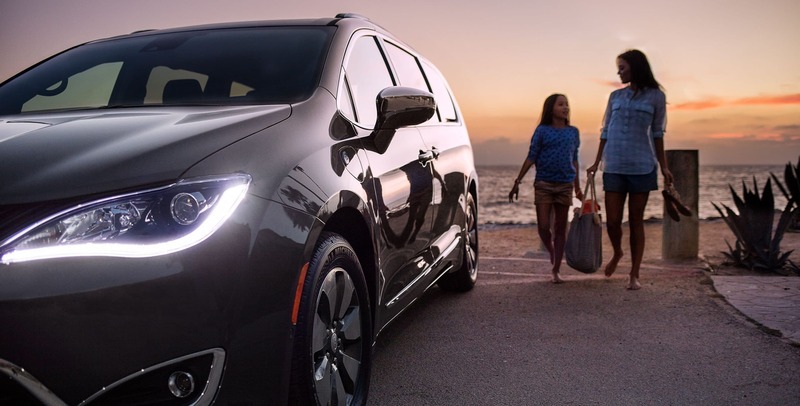 The Chrysler Pacifica is a no-compromises minivan that is ideally suited for today's families and has earned its spot as the most awarded minivan of the year.